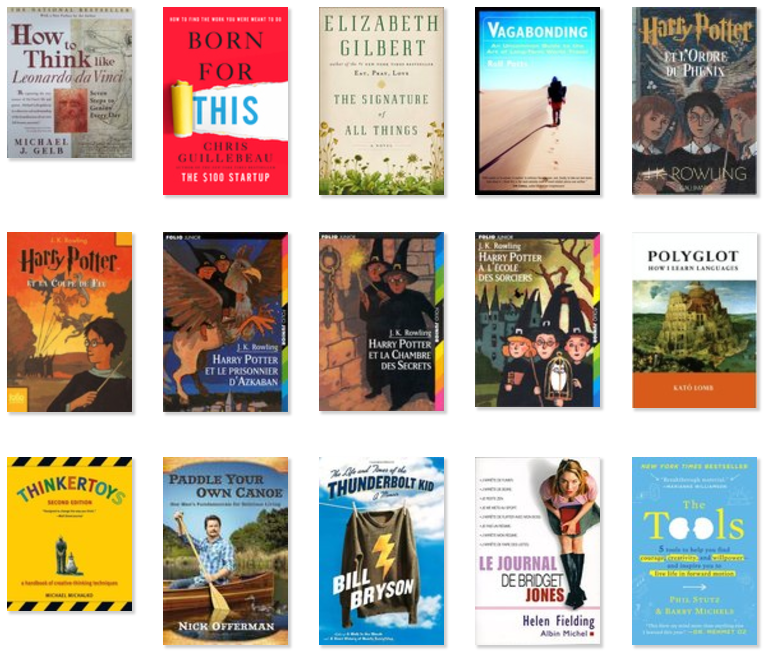 Last year I set a Goodreads goal of reading 40 books in 2016. 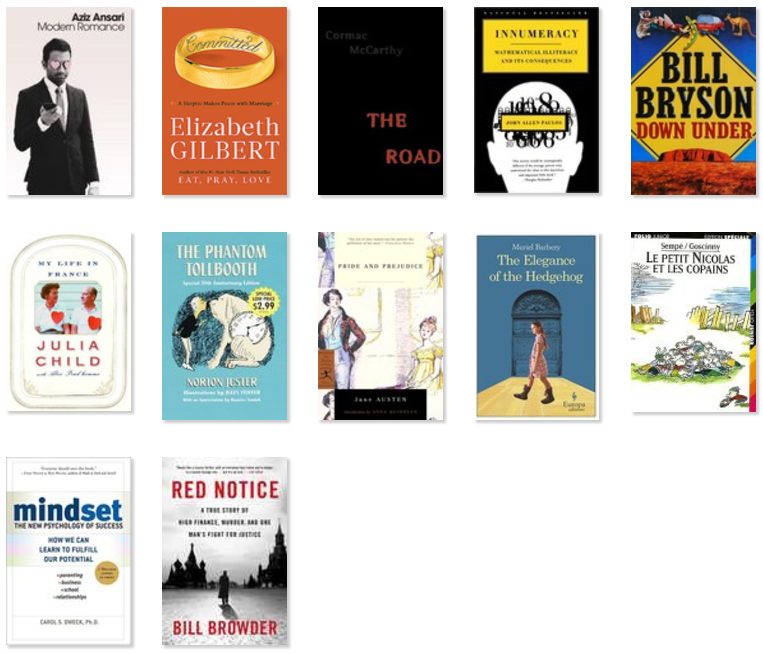 By the end of the year I had read 42, though three of them were quick children's books. This is probably the most I've read in a year in my life! Even more, I'm proud of the reading I did in French. I read my first French novel ("Bonjour Tristesse") at the end of 2015. That was not easy, but it felt very awesome because at the start of 2015 I could hardly form a sentence in French. Wow, I really loved this book! Seeing someone so passionate and curious about a topic, and fully immersing themselves by DOING—asking lots of questions and making lots of mistakes—was very refreshing. I also really enjoyed the historical aspect; seeing daily life after the war in France and America, and the very first TV shows, for example. 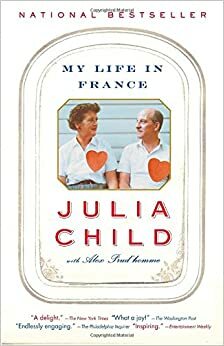 I used a few bits from this book in the article I wrote about learning languages with a growth mindset, and was personally quite comforted/reassured to learn that Julia knew nothing of French cuisine / cooking before she was 37. I highly recommend this book! Matthew Desmond was a graduate student at UW-Madison when he began researching evictions in the poorest neighborhoods in Milwaukee. Now a sociologist at Harvard, this eye-opening book tells the stories of eight families that Desmond followed for years. 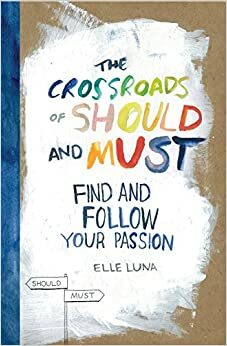 I learned of this book while visiting our local library, and then attended a replaying there of the author's talk in Madison. Prior to reading this book, I had no idea how so many laws and current systems are doing a real disservice to low-income families, perpetuating the cycle of evictions. Someone with a growth mindset knows that we can change and gain skills/knowledge with focused practice. No one is just "born with it." Perhaps today you cannot write well, speak another language, or shoot free throws—but with deliberate practice, you can become better. Anyway, this is an awesome book that you could read in one sitting if you wanted to. Its visual pages carry an important message about what you "should" do vs. what you "must" do. Highly recommended for anyone. I just read this book in October (on my Kindle), and I'm currently rereading it—from my own softcover copy, highlighter in hand. It's the first time I've seen how the personality traits which made me a good student in school are actually holding me back in "the real world." I love how the content is delivered, especially the incredibly practical ways to speak up, create, and lead. 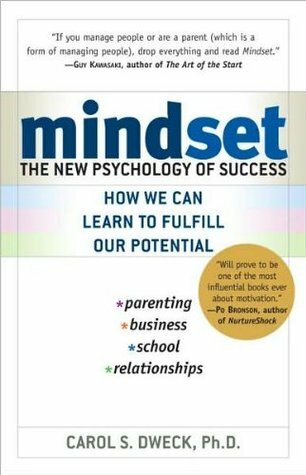 I already know this book is a game changer for me. You know that woman. She's a good friend or a colleague from work. She's smart and insightful. She gets it: Whatever the situation at her company, or in her community, or in the news, she has great ideas about what needs to happen. She's high integrity too—no greed, no temptation to corruption, no big hunger for power. And she's funny, warm, and trustworthy. Sometimes, you listen to her talk and think, if only people like her were in charge . . . So here's the thing: The way you look at that woman? Someone looks at you that way. In fact, many people do. To us, you are that talented woman who doesn't see how talented she is. You are the woman who—it's clear to us—could start an innovative company or pull one out of the dysfunction it's in, improve the local schools, or write a book that would change thousands of lives. You are that fabulous, we-wish-she-was-speaking-up-more woman. This book bridges that gap between what others see in you, and what you see in yourself. 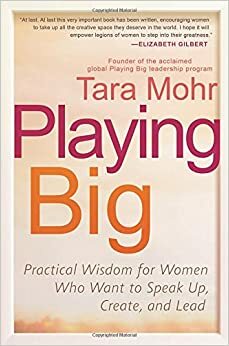 Some chapter topics include the inner critic, inner wisdom, a new way of looking at fear, unhooking from praise and criticism, leaving good-student habits behind, leaping, and communicating with power. This was the first time in my '20s that I subscribed to a magazine. The Atlantic got mailed to me each month starting in March. This summer while living in Montpellier I discovered the French magazine Psychologie Positive, which was very exciting. It's much easier to read extensively (for fun, no stopping) and intensively (slowly, breaking down a sentence/paragraph for vocab and grammar) when the content interests you. Since they don't ship internationally, I back-ordered a couple of issues while I was still in France so I could continue to read them—continuing with French—after leaving. Flow seems to align with exactly where I am in life and who I want to be: mindful, creative, connected, simple, paper in hand. I'm so inspired by its beautiful pages and thoughtful content. "Celebrating creativity, imperfection, and life's little pleasures" and "The magazine that takes its time." What books have you read this year that you recommend? 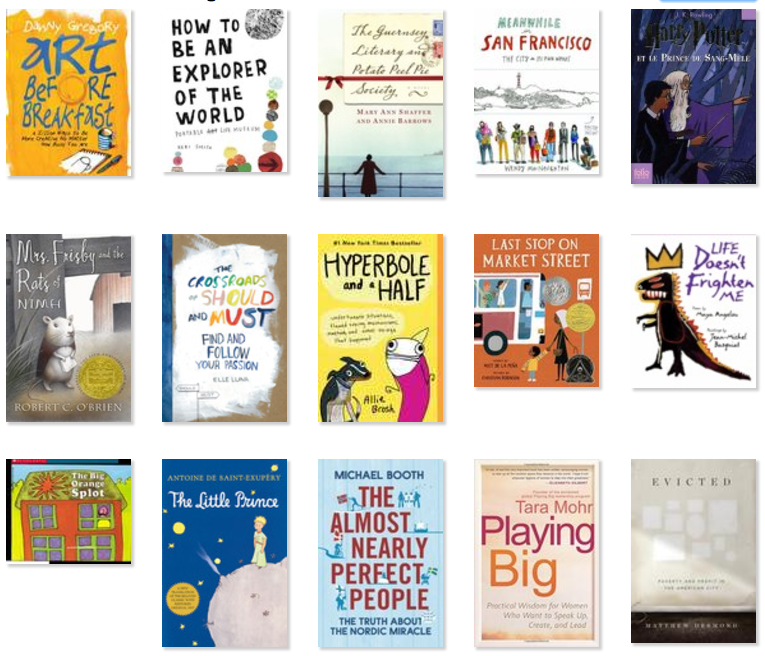 What's on the top of your list to read in 2017?